Fix It Forward - Serving the Molalla area, once a year, one day, improving lives and living conditions for Veterans and low income homeowners while uniting the community and local volunteers. Want to be part of our team on this year’s Fix It Forward? Send us an email and let us know your skill sets be it gardening, trade related, general clean up or donations. This is a program we are very passionate about and would love to have your help making a positive difference in other people’s lives. 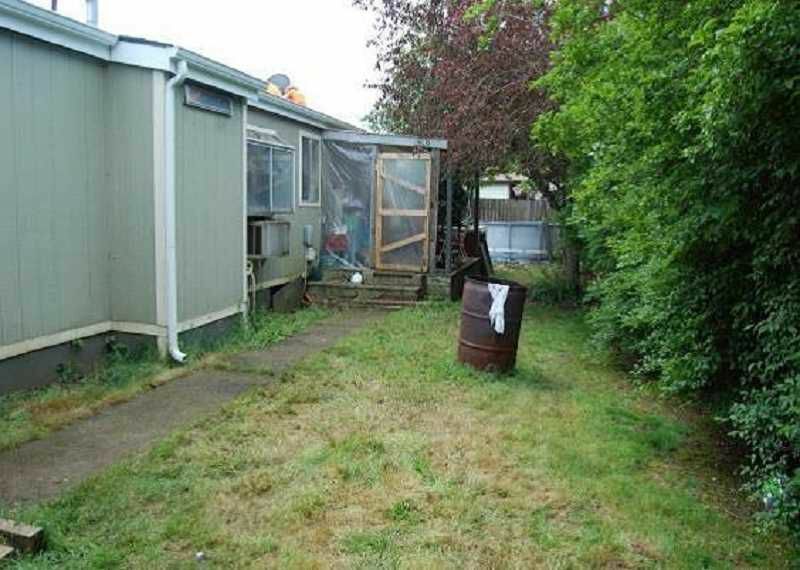 Fix It Forwarding in Molalla helps with home and yard repais and renovations. There are people in the Molalla community that need a helping hand and a local nonprofit wants to be that source of help. Nonprofit group Fix It Forward formed in February 2016 with the goal of being a volunteer arm to those who can't keep up with house repairs or upkeep. Molalla residents Andy and Amora McBride had sponsored homes with Portland Rebuild for several years. In driving through Molalla, where they've lived for 15 years, they came to the conclusion that a similar organization would be a benefit. Fix It Forward seeks community input on applicants and referrals. Anyone is eligible who owns their home and has a need for help due to financial or physical difficulty. The organization places a heavy focus on single mothers, veterans and widows of veterans. "We take the applications through a selection process by asking 'Who is in greatest need?'" said Andrea Evilsizer, one of Fix It Forward's board members. "Who's home can we best impact with the skills of our volunteer crew and how many homes can we take on based on the amount of volunteers we will have? "Once we have made our selection, we interview and perform a site walk at their home to assess our material needs," she added. "The magic all comes together on the one day we select where all of the volunteers arrive to the home site by 8 a.m."
Fix It Forward volunteers help with time, materials and finanes. With the job identified, the volunteers on hand, and the assignments made, the work gets rolling. "It is truly incredible the transformation that can take place in one eight-hour day with all of the helping hands coming together for a common goal," said Evilsizer. "Every person who leaves that day feels fulfilled and bubbling with joy because it is remarkable to take part in enriching lives in this way." The group's first volunteer day was spring 2017, with two homes targeted for repair. One belonged to a single mother with two children and included a new roof, dry rot repair, new drywall in the kitchen and much more. In all, donations of time and materials totaled more than $22,000. The second project that day was for a retired veteran who needed an ADA upgrade to his bedroom door, as well as new gutters and other fixes. Total value was just over $4,000. In all, Fix It Forward received donations from more than 15 local companies, from porta potties, to roofing, lumber, sack lunches, flooring, plumbing and more. "We had about 40 people on site volunteering their labor for the day," explained Evilsizer. The nonprofit has four officers – Andy McBride, Mitch Ruska, Jr., Matt Zacher and Andrea Evilsizer who meet monthly to plan, budget and look to projects for the future. Now, Fix It Forward is looking for its next projects to target. And it would like Molalla and the surrounding community to help in the selection process with nominees for assistance. For more information about the program, volunteering, or to submit an application for help, contact Evilsizer at 503-919-2201 or email to andreab@cascadenwconstruction. People in Molalla who could use a little helping hand with home repairs and upkeep are getting the assistance they need thanks to a new non-profit. A couple who's lived in the community for 15 years decided they could put their construction contracting knowledge to use and formed Fix It Forward. In just the group’s second year, Andy and Amora McBride and their small boar- ask and then answer the questions of who is in the greatest need and how many homes can we help? Anyone who owns their home and can't tackle repairs because of financial or physical difficulty qualifies, but they tend to focus on single mothers, the older generation and veterans. “They've done what they can already and anything we can do to help them out is an added bonus,” said Fix It Forward founder Andy McBride. “One little thing can make such a huge difference in someone's life and I really enjoy seeing that, said board member Andrea Evilsizer. Volunteers head to homes after they’ve met with the families months in advance to go over their needs and make a list of what can be done, along with supplies needed. Then they do all the work on all of the homes chosen in one day. Dustin Asher, 17, got the ball rolling for his home with a letter. For the great work its doing, Fix It Forward received the FOX 12 Les Schwab Tire Centers Be the Change Award. Fix It Forward is always looking for volunteers, donations and nominations for those who need help. Anyone interested in learning more can visit the Fix It Forward Oregon page on Facebook. To nominate a person or group deserving of the Be the Change Award, please go to KPTV.com/BeTheChange. 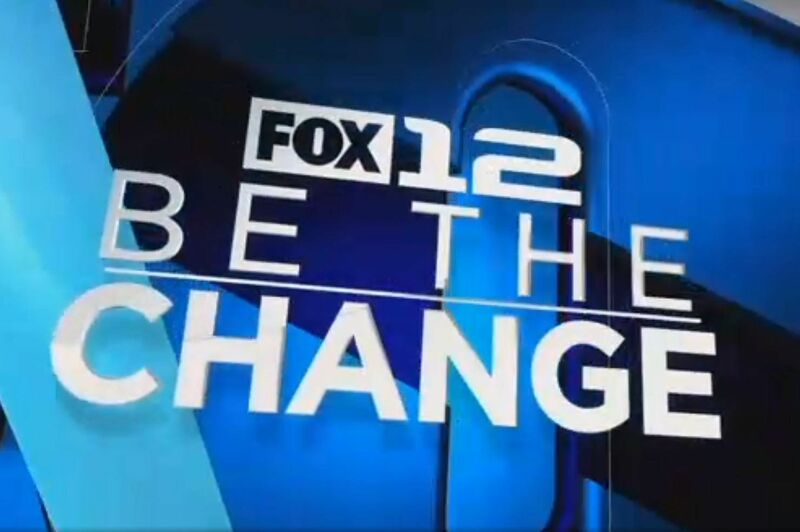 The volunteers of Fix It Forward were featured on FOX 12 news and presented with the 2018 Be The Change award for the work they performed making a difference in their community.